US animosity directed at Russia is misdirected anger, said Larry Johnson, retired CIA and State Department official. The propaganda plays upon the ignorance of US people, who know little of Russia and the history of its relations with the US, he added. 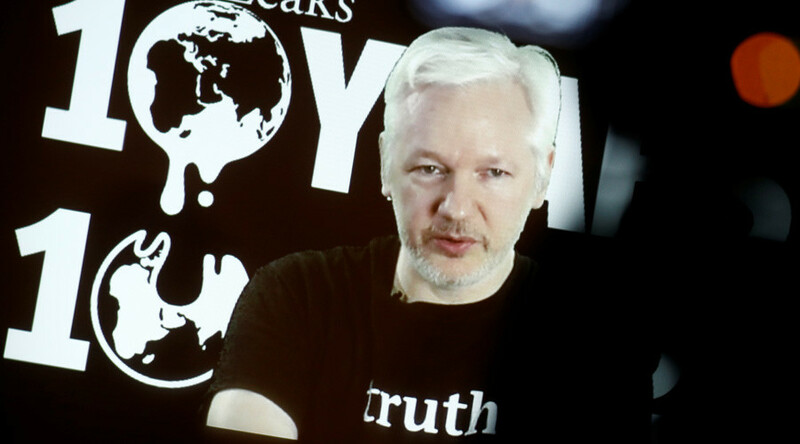 WikiLeaks editor-in-chief Julian Assange, in an interview with Fox News, said that even a teenager could have hacked the emails of Hillary Clinton's campaign chief John Podesta. Thousands of emails were published by the whistleblowing website before the presidential election, with claims then coming from Washington that Russia was behind it all. In Washington’s latest bid to provide evidence of Russian interference in the US presidential election, the FBI and the Department of Homeland Security released a joint report last Thursday. RT: The White House also said there is evidence on alleged Russian hacking. Are you convinced by the information provided in the FBI and Homeland Security joint report? Larry Johnson: No. What we know for certain is that there are emails that were in the Democratic National Committee [DNC] and emails on John Podesta’s server. We do not know if those were phished and taken off that server, or leaked. In other words, someone on the inside downloaded the messages onto a thumb drive and then passed them off to WikiLeaks. The other thing we know is that the emails were distributed by WikiLeaks. What we don’t know is the gap in between there. How did the emails get from Podesta and the DNC into WikiLeaks? Julian Assange insists that the emails did not come from Russia, or any source connected to Russia. I am inclined to believe him. What we know about the NSA and its system’s capabilities is that if it was in fact obtained by a Russian government asset, that the NSA would be able to know that very quickly and immediately. RT: Why are we seeing sanctions against Russia if there is no connection between the hackers and the Russian government? What is going on? LJ: It’s certainly like the angry drunk, and the poor dog is in the room, and he has kicked the nearest thing available. Look, there is madness, almost a psychosis in the US right now. I am 61 years old. I’ve lived in the Cold War. I remember the Cuban missile crisis. The animosity and antagonism directed at Russia right now – it’s misdirected anger. But Russia has become a convenient bogeyman. The propaganda being disseminated here plays upon just the vast ignorance of the American people, who know little of Russia, who know little of Vladimir Putin, who know little of the history of the US and Russian relationships. Frankly, you guys make a good Hollywood villain – that’s the reality. It’s easier to vilify you rather than acknowledge what was going on here. All of the articles that the Washington Post, for example, ran regarding the WikiLeaks leaks in the first week that they came out – they only ran nine pieces, and almost half of those were trying to downplay and say that there was nothing serious there. They ran, by contrast, 194 pieces criticizing and attacking Donald Trump. So if you look at it as a strict informational operation, there was an overwhelming tsunami of negative information directed at Trump, not at Hillary Clinton. Hillary is the one that lost the election. Again, to blame Russia for “meddling in the election” – the very terminology is designed to confuse the American voter. Another irony here is that in the Podesta email leaks, we discover that it was... a Democrat staffer who was recommending to John Podesta that Russia and alleged ties between Vladimir Putin and Donald Trump be used as a weapon, as an avenue of political attack against Trump. So the fact is, we discover, it was the Democrats themselves who were recommending this as a line of attack. It did not originate with Russia.